My favourite animal is the dolphin. The dolphin lives in the water. The dolphin is friendly and it loves to play. It eats fish. 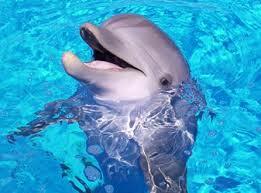 The dolphin is my favorite animal because it loves to play and I love to play too. This entry was posted in 2014, My favourite animal, Rocio, Students 2014, Writings. Bookmark the permalink.